Former FIFA vice-president Jack Warner is resisting extradition on U.S. charges of racketeering, wire fraud and money laundering in the FIFA corruption case. 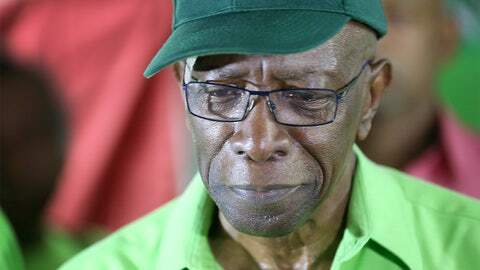 Trinidad and Tobago’s attorney general says he has received a U.S. request for the extradition of former FIFA vice president Jack Warner on corruption charges. Garvin Nicholas told reporters Wednesday that his office will evaluate the documents from the U.S. Justice Department to decide whether to take the extradition matter before a magistrate. Warner is scheduled to appear before a court Monday. He is resisting extradition on U.S. charges of racketeering, wire fraud and money laundering in the FIFA corruption case. He is out on bail. Trinidad legal experts believe Warner’s extradition could take five years to resolve. U.S. prosecutors allege South Africa funneled $10 million in 2008 to Warner and two other FIFA executives as payment for them supporting its successful bid to host the 2010 World Cup.